VALLEY, Virgin Gorda, VI - A Jamaican national identified as Adrian Porter, died suddenly after returning to his Virgin Gorda home from dinner last night, Thursday, May 31, 2018. 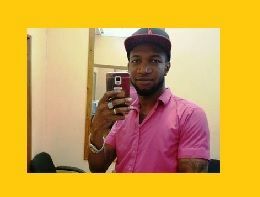 The deceased man—a professional Barber—has been living on Virgin Gorda for several years now and is survived by his wife Simmone Hodge-Porter and 4 children. The circumstances surrounding his death, at the time of this publication, remain unclear. Adrian Porter has been described as a model resident of Virgin Gorda. The 28-year-old man would have celebrated his 29th Birth Anniversary next month. Virgin Islands News Online’s Management and Staff convey our condolences to the immediate family and loved ones of the late Adrian Porter. Oh wow! So sad to hear. Keeping his family in prayer. Well, it seems obvious to me if autopsy proves non-natural causes or necromancy, he was poisoned! not so fast do you know his health history? YIKES!! Not good. Maybe he had some sort of ongoing illness,you never know. But how freaky is that to return from your anniversary dinner and die? Still it's a sad situation and I know it's hard for the family. My deepest Sympathy to the family. So very sad. The dude just went out to eat and drop dead as soon as he got home. "???????". RIP dude. Things like that make you start thinking. My condolences to his wife, friends and family. Very sad. look how my bredrin gone just so :( Watch where and how yall eating!